Ships today if ordered in the next 5 hours and 19 minutes! Designed as a more accurate alternative to chemical test kits, the HI 708 provides quick, accurate results in four easy steps (see below). The HI-708 uses an adaptation of the Ferrous Sulphate method. The reaction between nitrite and the reagent causes a greenish/brown tint in the sample. 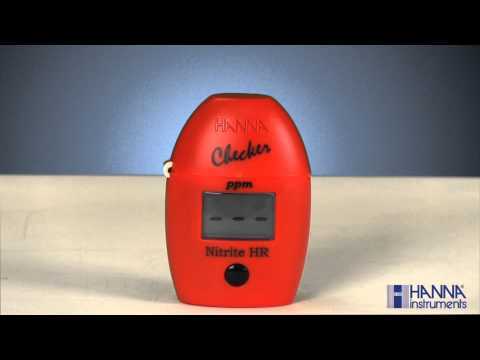 Ordering Information HI-708 Checker® is supplied with (2) sample cuvettes with caps, nitrite HR reagent starter kit for 6 tests (6 powder reagent packets), battery, instructions and quick start guide.